Are you looking for a unique Healthy Hiking Spa Vacation with an emphasis on Rejuvenation? Join us on a Fit-Trip as we Travel the Worlds most Scenic Natural Landscapes! "take a slice of paradise, some good heart-pumping hikes, a teaspoon of Yoga and meditation, healthy food and some inspiration . . .
you get the perfect blend of fitness and adventure!" Days are filled with Cultural Explorations, Hikes and Walks, Vineyard tours and Game Drives. De-stress your mind with Yoga/stretch classes, Massage and optional spa treatments at one-of-a kind Accommodation in settings combining incredible physical beauty! Choice Accommodations. After an inspiring day of game viewing, hiking or cultural viewing, recount your tales over a gourmet feast and glass of wine or beer. Then, slumber in a range of accommodations that match your chosen adventure - from luxury camps and upscale lodges to rustic tents set deep in the wild. Situated on the southernmost tip of the African continent, its friendly and welcoming nation has come together to celebrate its new democracy and to welcome visitors to warm oceans teaming with sea-life, tranquil beaches and lagoons, world class accommodation surrounded by fertile vineyards, towering mountains, sweeping vistas, mystical desserts and tropical forests. In a warm and sunny climate, there is a thrill of activities to be enjoyed, varying from fishing, ballooning, game drives, sightseeing of panoramic vistas, diving, rock climbing, white water rafting and many more. South Africa’s major cities offer a variety of interests. Business is mainly conducted in the temperate Johannesburg, the capital of Gauteng, the subtropical holiday city of Durban is based in Natal, on the Indian ocean. Mediterranean Cape Town, often referred to as the “mother city” and seen as the most versatile city of them all, lies where the Indian ocean and the Atlantic ocean meet. 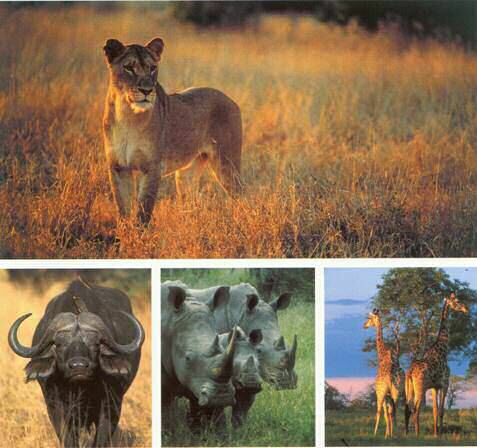 South Africa features some of the best wildlife in the world, where the big five (rhino, elephant, lion, leopard and buffalo) can be appreciated at close range in their natural habitat. Good roads, a sophisticated infrastructure, all amenities for ultimate comfort and convenience and first world technology combine with scenic nature, wide open spaces, unpopulated vistas, wild untamed coastlines, vast skies, wide open space and cultural diversity to create a unique ambience to soothe the soul. On arrival at Cape Town International airport you will be met by a Spafari representative and taken to Stillness Manor...an international famed spa established in 1994...its setting set in 4 acres of wooded gardens in the lush Constantia Valley surrounded by the original vineyards planted in South Africa. SpaFari welcomes you...to this truly magical oasis of beauty and tranquility with the gift of a complimentary SpaFari massage to banish all travel fatigue! After lunch we take a fifteen-minute ride to the world-renowned botanic gardens...Kirstenbosch, situated on the southern slopes of majestic Table Mountain. Be a witness to Cape Town’s springtime miracles of nature, where trails and pathways abound for exploration! Return to Stillness Manor for a healthy dinner. Vegetarian meals are accommodated. 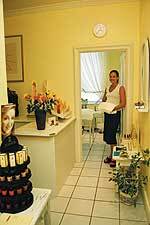 Stillness Manor offers a host of specialized optional soothing spa treatments. 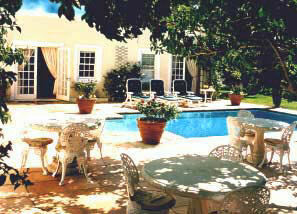 Limited number of guests ensures special caring by the supervising owners. Security for guests’ safety is high priority; discreetly assured day and night. After breakfast, weather permitting we depart for a hike to the top of Table Mountain, or, ride cable car both ways, alternately and/or time dependant. Next we make our way to scenic Cape Peninsular circular drive…to Cape Point; passing spectacular beaches, Clifton, Llududno situated below the mountain peaks named "The Twelve Apostles.” At Cape Point, we stop to view the Atlantic and Indian Ocean meeting…a photographers paradise! Continuing on though the nature reserve at the adjoining Cape of Good Hope; exploring the unique ecological sanctuary at its peak of bloom. We return via the Boyes drive; stopping at Boulders to view the penguin colony, and Simonstown, the historic British navel base during WW2. Return to Stillness Manor for relaxation, optional spa treatments, or your complimentary massage if not utilized. Healthy gourmet dinner. The drive to our destination takes us to the heart of the Springtime wild flower area via the West coastal road - looking back from Bloubergstrand one sees the same spectacular view sighted by passengers arriving on Ocean Liners - the City of CapeTown with the magnificent backdrop of Table Mountain. We continue driving to reach the Posberg Nature Reserve, so beloved for its carpets of wild flowers that are brought to this arid region after the spring rains. Enjoy a picnic lunch amidst this floral feast. 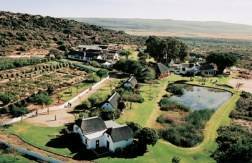 We continue over Piekeneers Mountain Pass down into the Olifants River fertile valley; farmlands cultivated with large citrus and other fruit orchards, as well as vegetable crops cover this area; we pass-by towns of Citrusdal and Clanwilliam for our afternoon arrival at Bushmanskloof. Here we receive a warm welcome, being treated to afternoon tea in the company of our host game ranger. Bushmanskloof is a natural heritage reserve known as the worlds largest open air gallery: a gallery that has caves that were inhabited by the Bushman tribes (San people) many thousands of years ago. We explore the 125 caves on this reserve that have some of the finest Bushman rock-art still being zealously preserved with great care and prevention of vandalism. Added to the rock art, Bushmanskloof is a hiking paradise with its wildlife sanctuary of 34 mammal species; these include the rare cape zebra and mountain leopard, and 140 bird species! A sunset game drive is scheduled with sundowners in the bush before returning to the lodge for a healthy dinner around a campfire. The lodge, being a member of the prestigious ‘Chateau & Relais Organization,’ assures guests of the very high standards they can anticipate; known for its contemporary country cuisine and beautiful accommodation, and above all the renowned cape hospitality! The Spa offers an extensive selection of optional body and beauty treatments. 2nd Day at BushmansKloof starts with stretch class, followed by a guided San Art rock hiking tour. We return to a healthy brunch under the giant ficus trees. The afternoon brings many personal choices: bush hiking, cave exploration, bird watching, optional spa treatments, or, relaxation with the sheer joy of being in this amazing place! Healthy gourmet dinner under the stars with a cinemascope view of this southern hemisphere galaxy! After a stretch class and breakfast you will be driving down through the Cedarberg mountain range to an area famous for its spectacular rock "sculptures" formed by shale and sandstone deposits dating back between 350 to 500 million years….just one example of these incredible formations is the "Maltese Cross"
The perennial Groot Rivier (Afrikaans for Big River) running through this area creates a striking but soft and gentle contrast to the hard rock formations. The fertile river-banks provided conditions inviting for the settler farmers to grow tobacco and graze cattle during periods of drought until 1876 when a Forester was appointed to oversee all the Crown land in the Cedarberg region; this appointment could possibly have been the beginnings of a conservation programme. Since 1965, fortunately visitors have the full privilege to enjoy and respect the Cedarberg regions bountiful gifts of nature. During our breathtaking hike we delight in the abundant bird life and possible sightings of wildlife on the slopes.....the habitat to Klipspringers, Grysbok, Mountain Leopard, Rooikat, Black Eagle, Dassies and Baboons. Luxury accommodation - set in this unspoiled part of the western Cape -delivers a flavor of the rural life of the locals… known as "Die Volk." Our healthy dinner tonight is at "The Old Millhouse" restaurant. DAY 7 & 8: RIVER MANOR for the Western Cape's wine lands visit. River Manor with its National Monument status comprises two historical houses set in the oak-lined "Avenue" across from the village centre with its museums, street cafe's restaurants and galleries. The 16 spacious en-suite rooms, furnished with "colonial charm," combined with the touch of Africa, all designed for guests’ comfort and pleasure. An exclusive Beauty Spa is set within the gardens. Stellenbosch, set in the heart of the winelands is the second oldest town in South Africa. Before exploring the vineyards we commence with a walk in the Rhenish complex - one of the most excellent restoration projects undertaken in South Africa - the group of buildings reflect the architectural history of Stellenbosch and neighboring wine estates. Oom Samie's se Winkel - a typical village shop in existence for many years despite the inevitable influx of chain stores. The magnificent oak-trees planted by Simon Van der Stel (the first governor of the Cape) still line the streets providing shade during the hot summer days; their reflections on the white walls of the Dutch gabled buildings, the little craft shops, make this town uniquely memorable. DAY 9: MARINE HOTEL in HERMANUS. This picturesque hotel sits on a cliff facing the ocean. The cliff-hugging path becko ns us for a hike, or the miles of white sandy beach beyond. Playful whale are typically seen frolicking our to sea. The sparkling, heated courtyard pool tempts us for a late afternoon swim. This is an experience not to be missed. A comprehensive list of treatments promises an experience that soothes the body; mind and spirit to leave one feeling refreshed and revitalized. Facilities include a Steam Room and a Dynamic Hydro Bath Table for Mud and Gel Body Wrap treatments including Vicci shower. Plus, an exfoliation Sea Salt Scrub or a Body Massage next to the Tidal Pool whilst listening to the soothing sounds of the ocean. We arrive back to Cape Town to stay at the Commodore. This hotel offers stylish accommodation, attention to detail and service excellence in a peaceful and secure environment. With its well-equipped gym, overlooking the pool, with personal trainers, a sauna and steam room. Afterwards, the remedial results of massage therapy will restore fatigued limbs and minds. After lunch we depart by ferry (weather permitting) to Robbin Island (30-45 minutes) and take a private walking tour conducted by an ex-political prisoner. We learn about the islands history, the unique fauna and flora that inhabit these shores, as well as the many shipwrecks that lie off its treacherous shores. Included in the tour are visits to the lime stone quarry, where prisoners were put to labor and Nelson Mandela’s prison cell where he was incarcerated for 18 years. Return to the Commodore, where dinner will be enjoyed at the award-winning restaurants. Breakfast and check out, before we transfer to Cape Town International Airport. On arrival at Durban Airport, head off to Saagries Restaurant for an authentic Indian dining experience (or another if your preference is not Indian food). Following lunch, we depart along the North Coast to Zimbali Lodge. Zimbali Lodge epitomizes elegance and opulence. The African-Classical architecture is enhanced by warm, wood tones designed to harmonize with the natural surrounding forest. The lodge is surrounded by a magnificent 18-hole champion golf course, which has spectacular views of the Indian Ocean and surrounding forest. Afternoon offers our guided forest and beach-walks, plus an optional game of tennis and a swim in the pool. Treat yourself to an optional pampering massage. Revel in cuisine, which celebrates authentic table d’hote in the intimate colonial-style restaurant, or relax on the terrace with its superb vistas to complement al fresco dishes. Enjoy part of the morning at Yoga, Hiking or leisure, before we transfer to Hilltop Camp, in the Hluhluwe Game Reserve. The award-winning Hilltop Camp on the summit of a forested hill offers fine views of the surrounding countryside. This luxury camp in KwaZulu-Natal is decorated with photographs and memorabilia of the history of Hluhluwe. The Superb accommodation is situated in beautiful natural settings from the heights of the mountains in the uKhahlamba Drakensberg Park, a World Heritage Site, through the tropical savannahs of Zululand where the "big five", elephant, rhino, lion, buffalo and leopard inhabit Hluhluwe Imfolozi Park and on to the brilliant coral reefs of the Indian Ocean that fringe the lakes and wetlands of the Greater St Lucia Wetland Park, also a World Heritage Site. After lunch we stretch our legs on a scenic forest trail right from Hilltop Camp, returning to a late afternoon Game Drive, followed by a delicious healthy dinner. We start our morning with a cup of tea and an early game-drive (this is when the animals are seen the most…during feeding time). 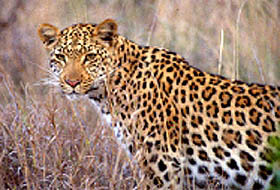 We are sure to see the BIG 5, plus excellent general plains game with the ever-attendant predators close at hand. We return to breakfast, an optional stretch class and a siesta. After lunch we push off for another breathtaking forest trail hike. Candlelit gourmet dinner. Morning check-out and transfer to Durban Airport for the afternoon flight to Johannesburg. 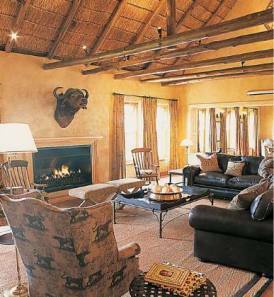 South Africa Choice Accommodations. After an inspiring day of game viewing, hiking or cultural viewing, recount your tales over a gourmet feast and glass of wine or beer. Then, slumber in a range of accommodations that match your chosen adventure - from luxury camps and upscale lodges to rustic tents set deep in the wild.